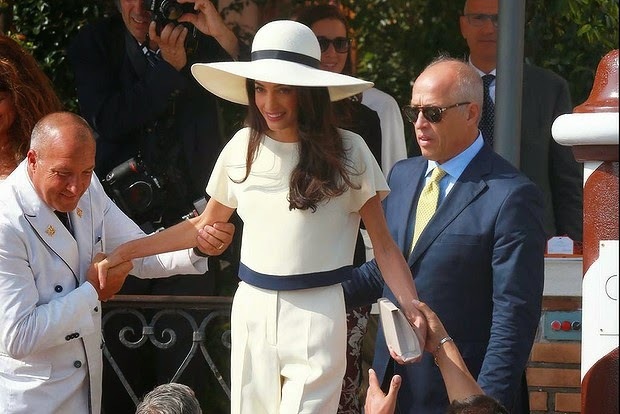 Amal Alamuddin's style. 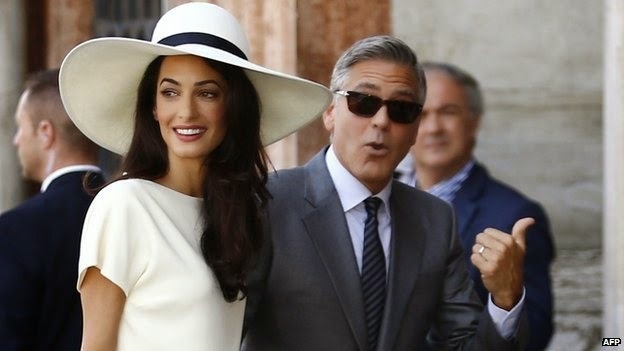 In a mere four days (since marrying George Clooney), this woman is on our radar... in a BIG way. 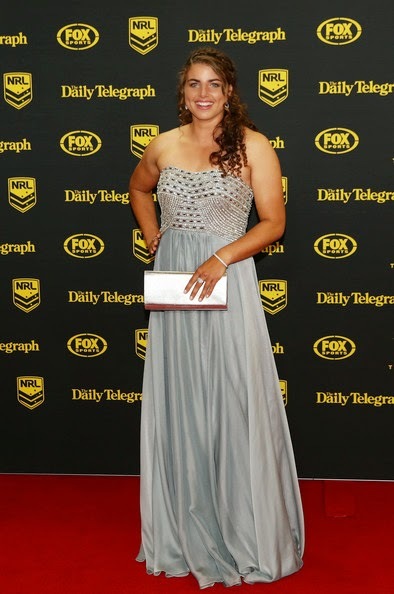 And from here on in, we will watch her every fashion look. C'mon, you know you will. It's here, it's here everyone. 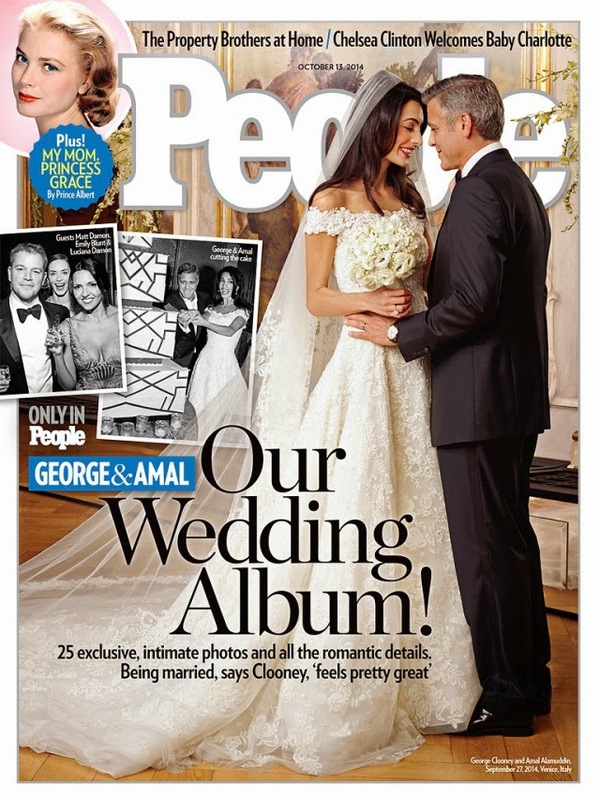 I don't know why and how these covers have surfaced before the US Vogue coverage of Amal Alamuddin's wedding dress - oh yes, and her wedding to George Clooney - but… behold. It's. Here. 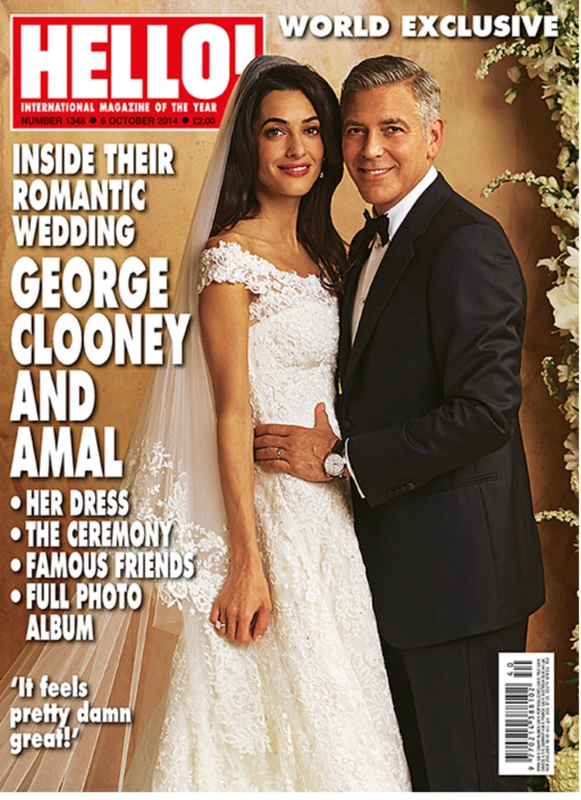 (For me, it doesn't matter - I'll still buy US Vogue, as George and Amal will donate their proceeds from the shoot to charity. Because they're champions like that. 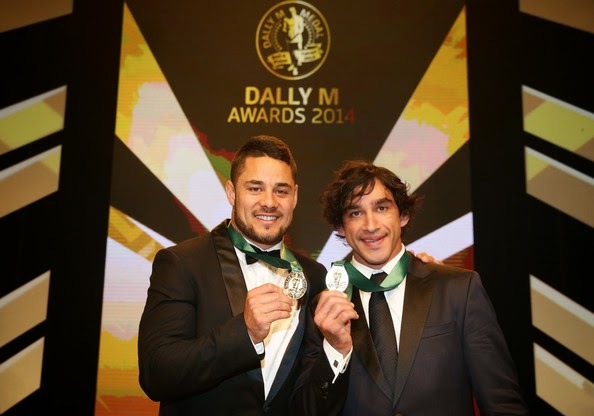 The Dally M awards took place last night at Sydney's The Star. 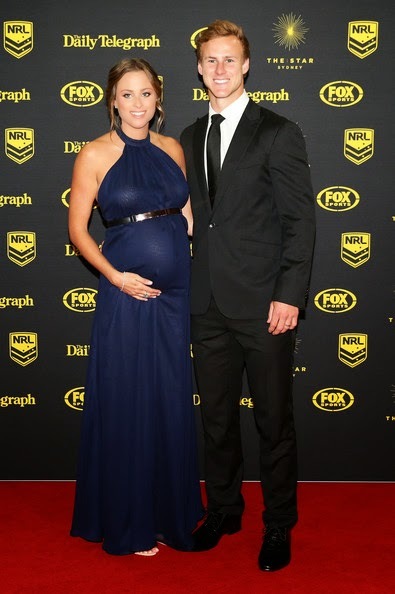 The night proved historic: it was the first time two winners took out the coveted award - Johnathan Thurston and Jarryd Hayne, the first joint winner. 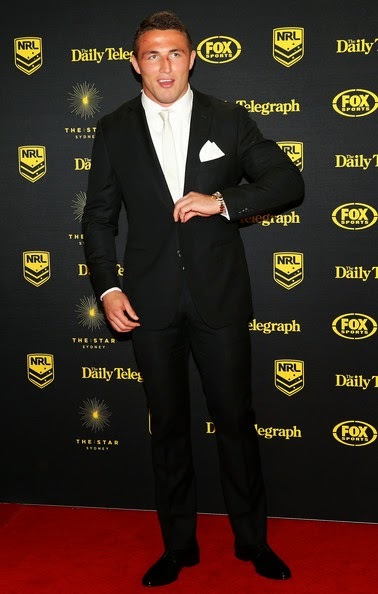 Thurston joins Andrew Johns as the only player to have won the award three times. 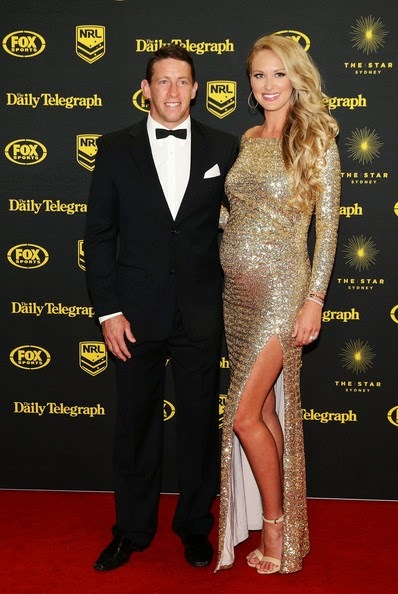 Thurston - from the Cowboys - last won the award in 2007. 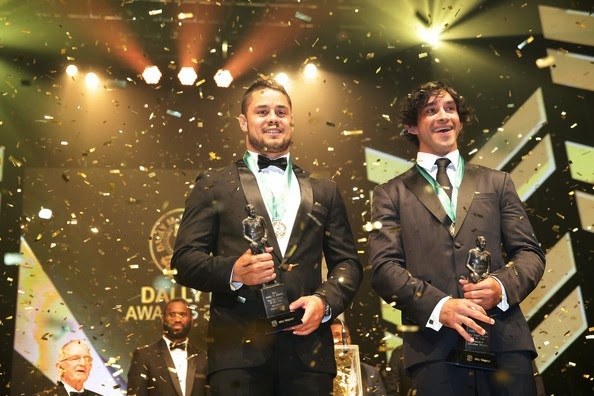 Hayne was also named fullback of the year and representative player of the year, while Thurston won the five-eighth of the year award and the Provan-Summons People's Choice Award. 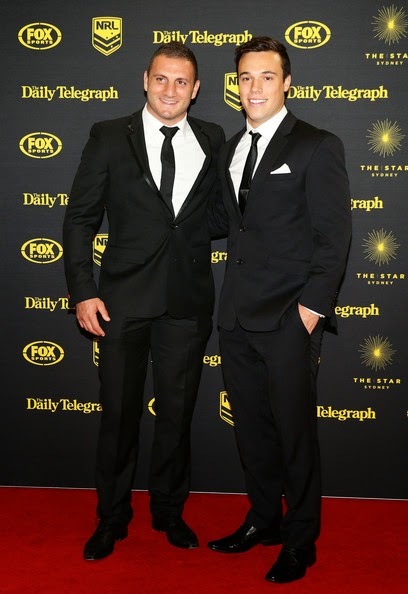 Penrith's Ivan Cleary was named coach of the year, while Wests Tigers halfback Luke Brooks won the rookie of the year award. 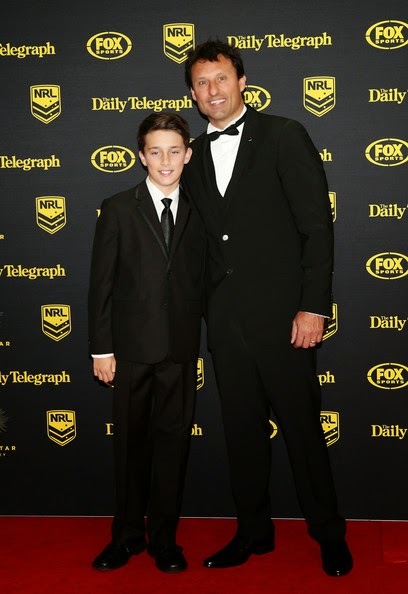 Manly's Jamie Lyon took out the captain of the year award. 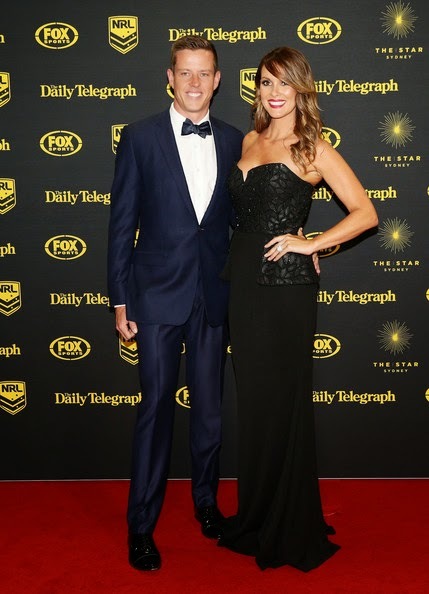 To see part one of this red carpet photo gallery, click here. 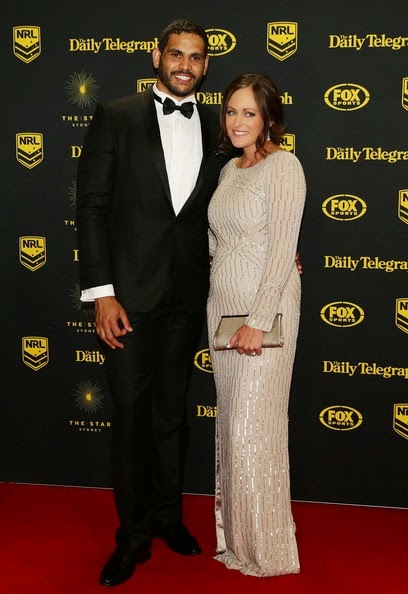 Greg Inglis and patients from the Sydney Childrens Hospital arrive at the Dally M Awards. Bless. We will kick off the red carpet with the perfectly styled Terry Biviano. 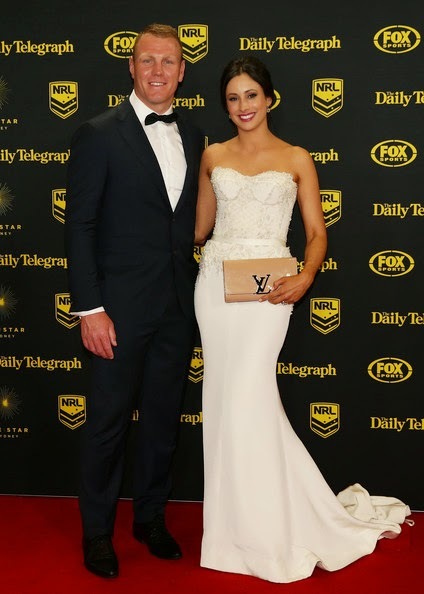 This woman is fashion perfection (and she's very sweet - husband Anthony Minichiello is a lucky guy).